What does change really look like? I’ve been on the search for examples of teachers creating multiple learning pathways in middle level classrooms. I need concrete examples of what one might look like to wrap my head around this change agenda. 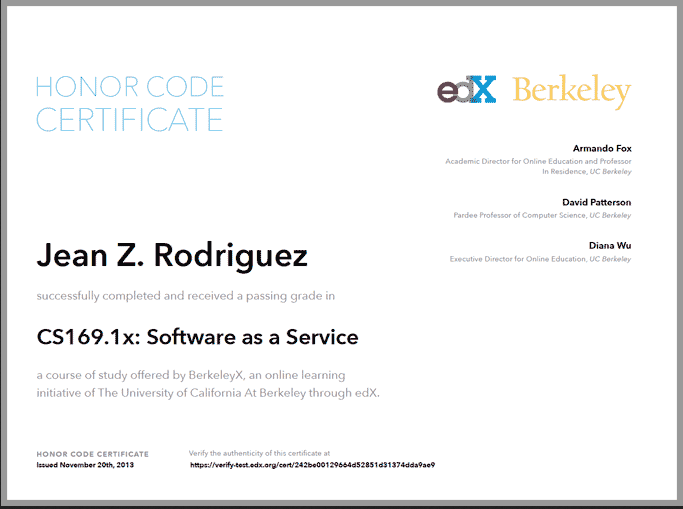 Today, I’m looking at massive open online courses (MOOCs); are there multiple learning pathways with MOOCs? What might this look like in a middle school classroom? When we think about students choosing online courses as one of their multiple pathways for learning, we often imagine the isolated single student, headphones on, hunched over a keyboard in a kiosk, engaging with digital learning materials divorced from important human interactions. 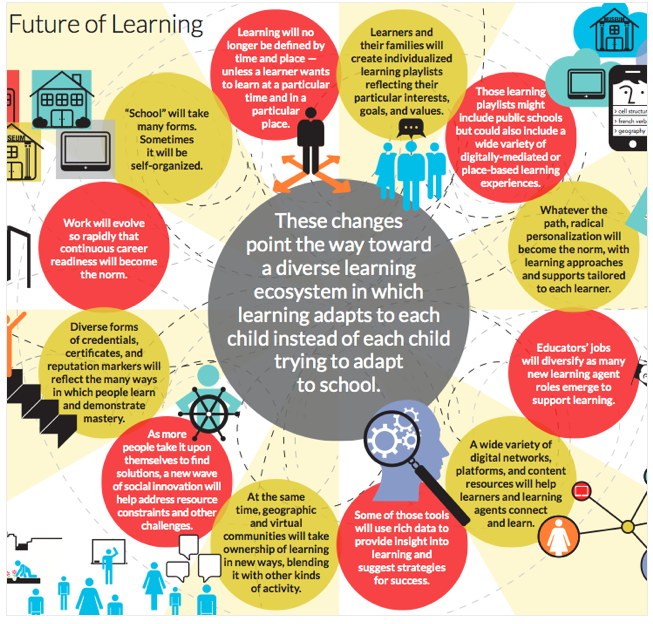 While this is one scenario of introducing blended learning into schools, an alternative is to create opportunities for online learning that are participatory, collaborative, and connected via a MOOC. I’ll be sharing feedback from the teachers and students who participated in the Stanford Math MOOC soon. 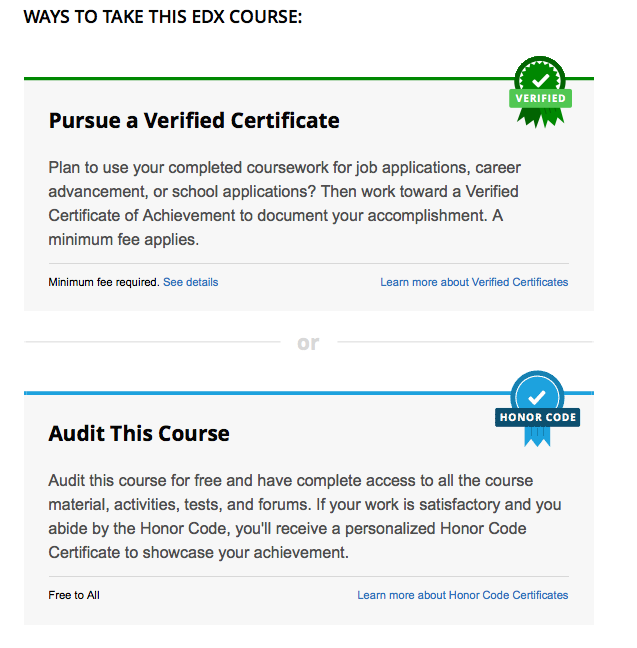 Another example of opening multiple pathways of learning via MOOCs comes from edX, one of many MOOC providers, who recently announced it had created courses for high school students to help them prepare for college level work. A quick look at the high school focused offerings suggests most are AP prep courses or are focused on increasing computer programming skills, but with course titles like The Beauty and Joy of Computing, the catalog is worth exploring. 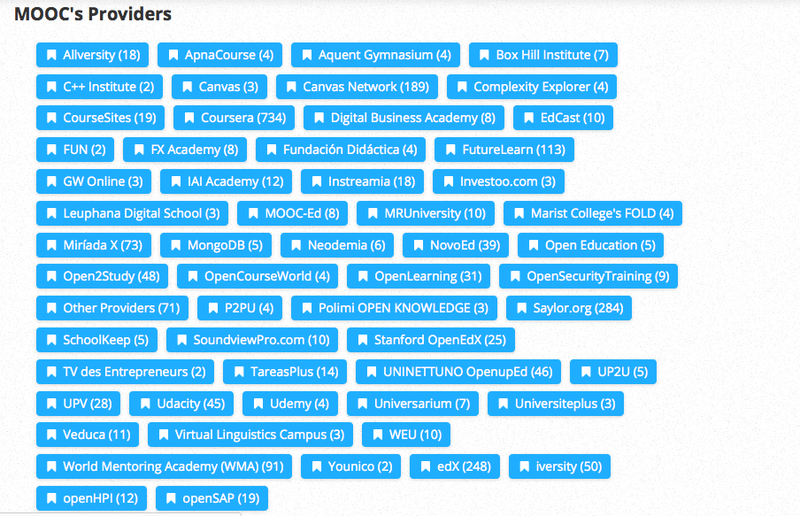 If you are interested in exploring the world of MOOCs for your own benefit, or to introduce a MOOC into your classrooms, here is a list of MOOC providers. Check out these two infographics on MOOCs to get a better sense of who participates and who is behind-the-scenes. Have you tried any MOOCs with your students?